Gambling can be a fun and safe form of entertainment for most individuals who chose to gamble. However, gambling is not risk-free and there are associated risks to the individual, their family and community. By being able to recognize warning signs and knowing responsible gambling tips you will be well equipped to keep gambling safe and fun. 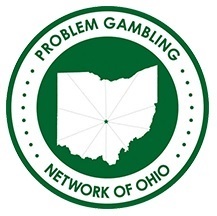 Problem gambling refers to any gambling that goes beyond the normal bounds of gambling for fun, recreation or entertainment. This gambling behavior causes disruption in any major area of life: psychological, physical, social, vocational or spiritual. Is often preoccupied with gambling. A need to gamble with increasing amounts of money in order to achieve the desired level of excitement. Repeated, unsuccessful efforts to control, cut back, or stop gambling. Feels restless or irritable when attempting to cut down or stop gambling. After losing money gambling, often returns another day to get even (chases one’s losses). Lies to family member, therapist or others to conceal the extent of one’s involvement with gambling. Has jeopardized or lost a significant relationship, education or career opportunity because of gambling. Relies on others to provide money to relieve a desperate financial situation caused by gambling. Treat the money you lose as the cost of your entertainment: Treat any winnings as a bonus. Plan ahead: Set a dollar limit and stick to it. Decide before you go not only what you can "afford" to lose, but how much you want to spend. Do not change your mind at the casino after losing. Set a time a limit and stick to it: Decide how much of your time you want to allow for gambling - leave when you reach the time limit whether you are winning or losing. Be prepared to lose: The odds are that you will lose. Accept loss as part of the game. Make it a private rule not to gamble on credit: Do not borrow to gamble. Avoid “chasing” lost money. After you've reached your designated dollar limit, Don’t continue to play in order to try to win back the money. Stop gambling and go see a show, or go home. Don’t gamble as a way to cope with emotional or physical pain. Instead, talk to a friend, a family member or a professional counselor. 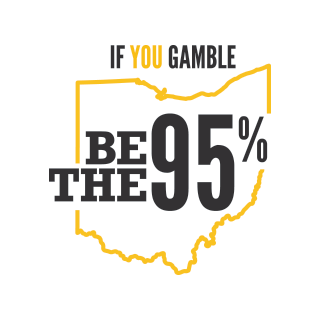 Visit http://www.the95percent.org/ to find out how to get set before you bet!